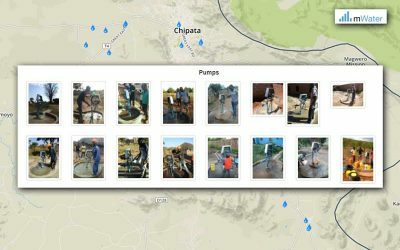 We are starting a new three-year water project, sponsored by Marie-Stella-Maris, and a lot is involved. 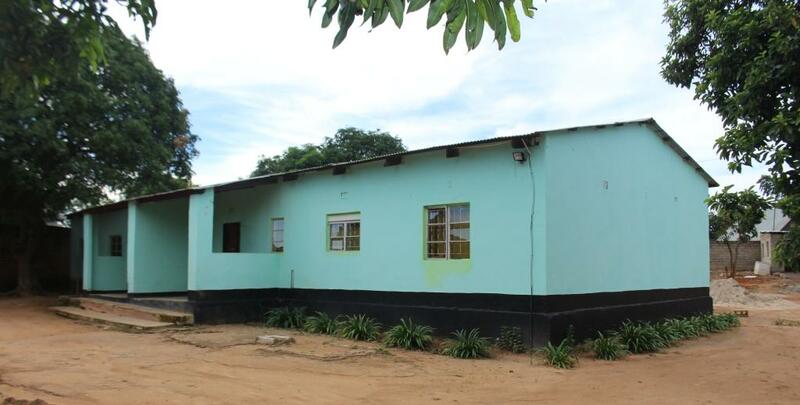 Basically it will be a copy-paste story and it should be easy with the experience we have gained in Chipata, but we can’t get away with it that easily. 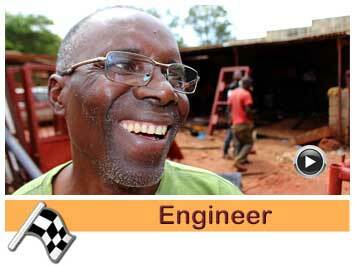 The bridge to Lundazi has collapsed and it takes us an extra hour of bumping along a sandy road to get there. 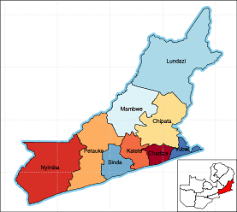 We are dealing with two districts, Lundazi and Chasefu, some 187 km from Chipata. Chasefu is still a young district and was part of the Lundazi district until 2018. 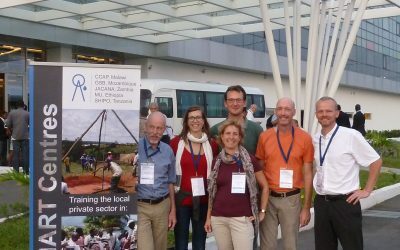 Two districts means two local authorities, two district water authorities, two Chiefs, two project areas and so on. 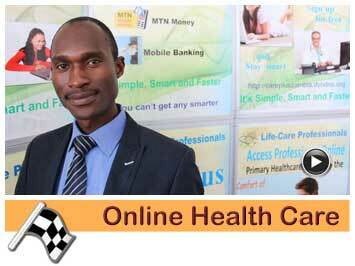 We have decided to open our new office in Lundazi “town”. Lundazi is the center of the two districts. 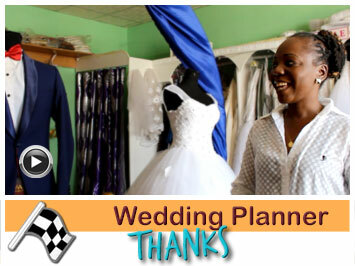 It has around 20,000 inhabitants, but is expanding rapidly. 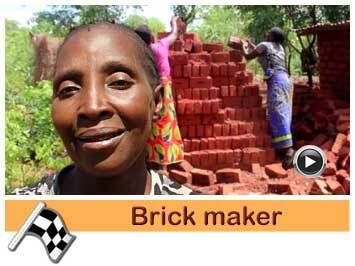 After a short search, we found two small houses on a fairly large walled plot close to the center of Lundazi town. 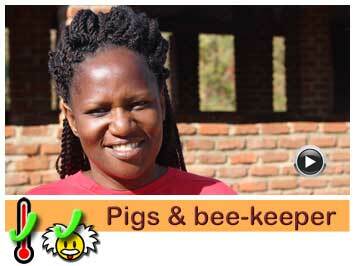 One house serves as an office and the other serves as Jacana’s base for staff. 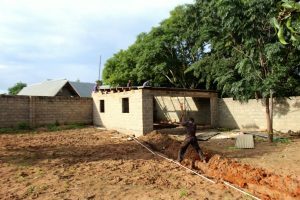 At the moment we are building a simple structure on site, where we will provide the three-week technical training and possibly other training courses later. 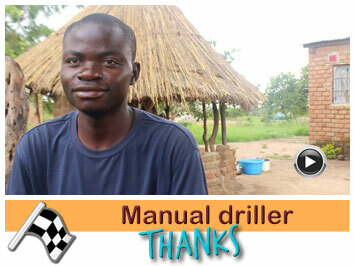 There is also enough space to manually drill boreholes during training. 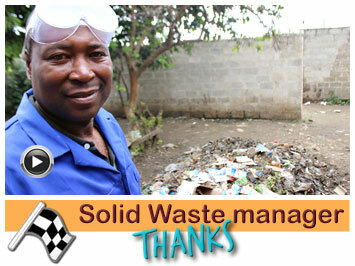 Before we started, we introduced the program to the local authorities and they approved. 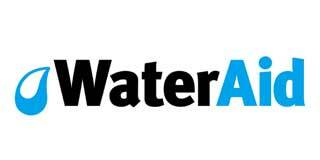 Everyone we speak to is very enthusiastic and extremely helpful because water is a serious problem in this area. 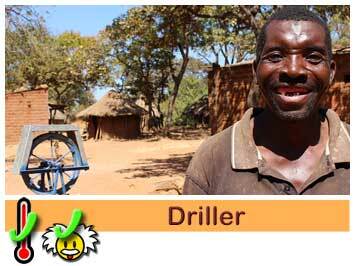 In the month of February we started looking for drillers and welders. 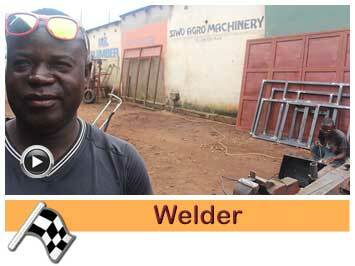 Interviews were held with 13 welders and 31 drillers. 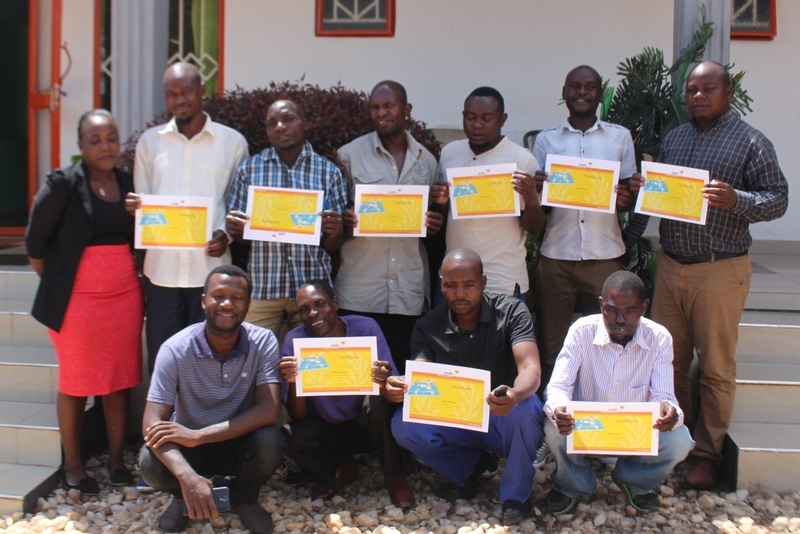 Everyone was asked about the motivation and how they think they can expand their existing business with the new knowledge they will gain in business and technical training. 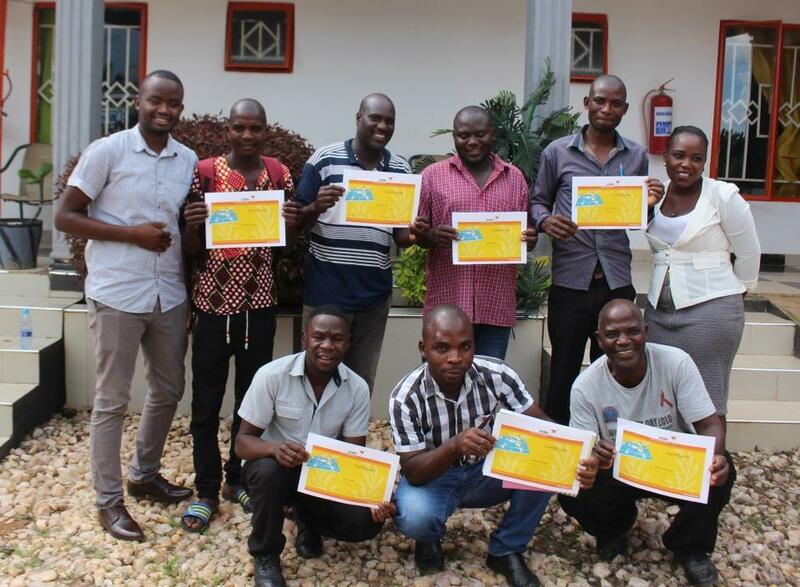 In the end, 12 welders and 13 drillers were invited for the three-day business, financial and marketing training. 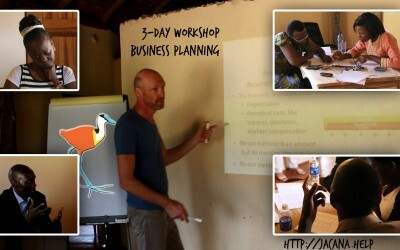 This training was given in the first three weeks of March by our local trainers Bester and Pious. 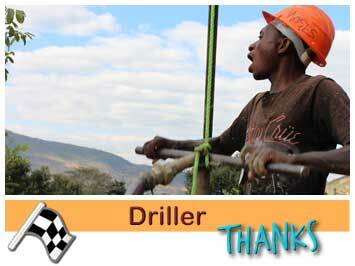 During the training the most promising and motivated drillers and welders were chosen for the technical training. 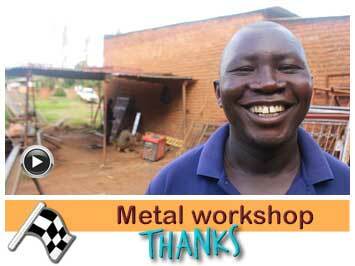 with the training of 4 welders. 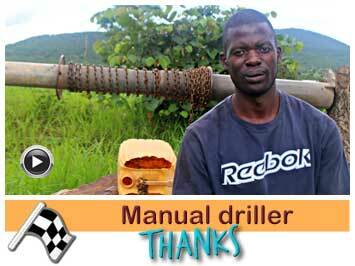 Henk Holtslag from the Netherlands will train them in the first week how to make drill sets. 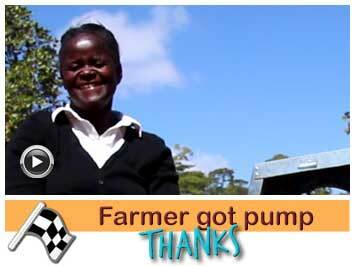 After that they will be trained by Brighton Kaniki from Malawi in how to produce rope pumps. 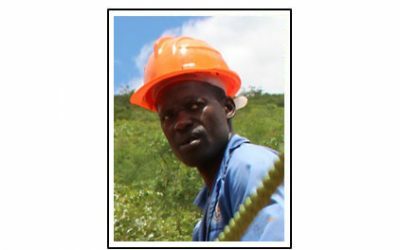 During these two or three weeks, Gideon Phiri from Chipata, will be trained as a trainer in producing drilling sets and rope pumps. 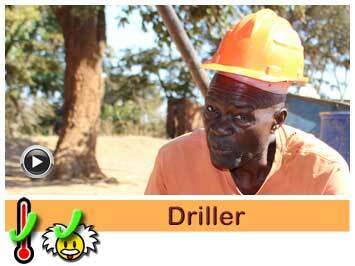 The training of 8 drillers in manual drilling of boreholes according to the SHIPO and Mzuzu method starts on 23 April. 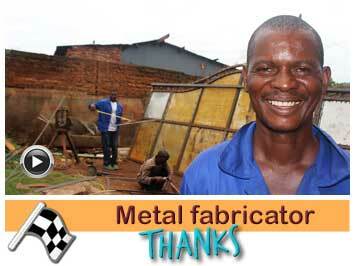 They use the drill sets made by the local welders a week earlier. Hastings Mbewe and Moses Banda from Chipata will provide the training under the supervision of Laban Kaduma from Tanzania. After this technical training, Jacana hopes that the three potential technical trainers from Chipata are experienced enough to independently provide training in the future. 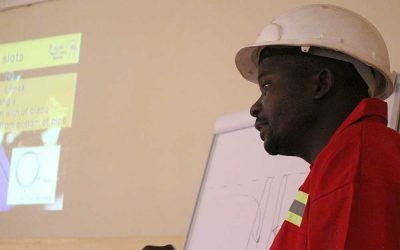 After the training, the drillers and welders can work under the supervision of experienced drillers and a welder from Chipata. 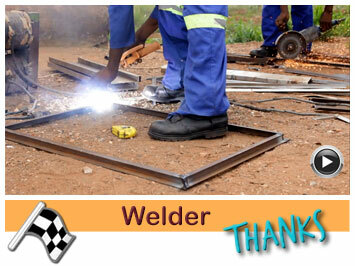 Boreholes will be drilled and pumps installed at the workshops of the welders and the houses of the drillers. 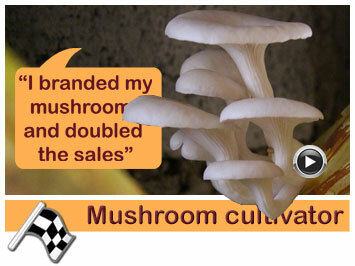 These will serve as promotional material to attract customers. 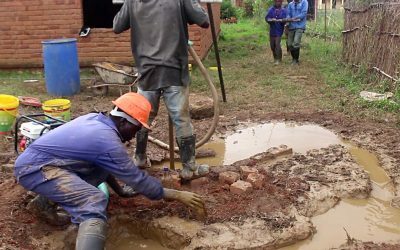 In Lundazi we also want to start working on Self-supply, so that customers can go directly to the welders and/or drillers for a borehole with pump. 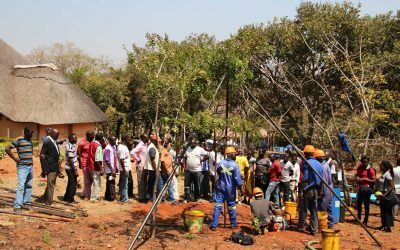 But we are not there yet, first we want to train the welders and the drillers and introduce the project in the two project areas Katandala and Kasongolo and make a start with the Show case area. More about that in a later newsletter. 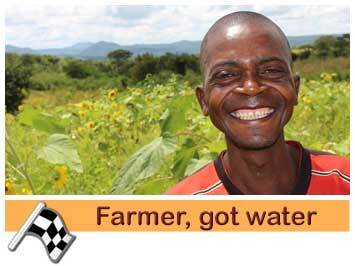 WaterAid Zambia and Jacana signed a Memorandum of Understanding for five years. 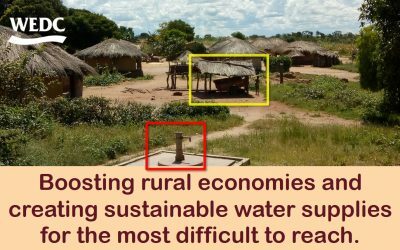 Both parties foresee challenges realising Sustainable Development Goal 6.1 by 2030, achieve universal and equitable access to safe and affordable drinking water for all. 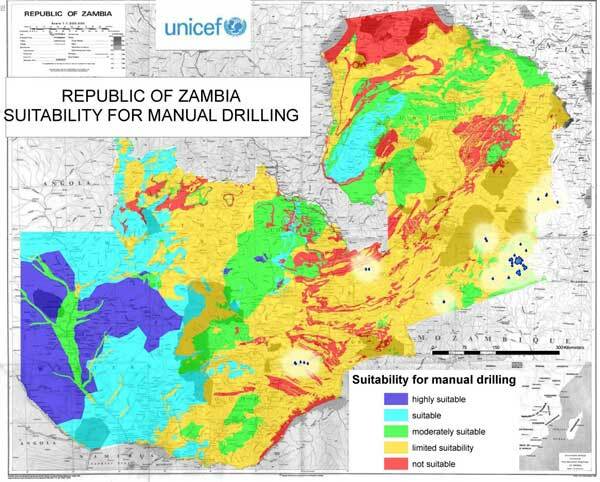 The biggest problem for Zambia will be to provide water for everybody, also people living in small communities. 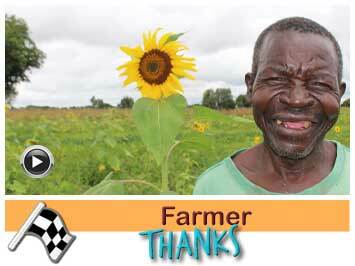 Zambia is sparsely populated (average 23 people/km²). 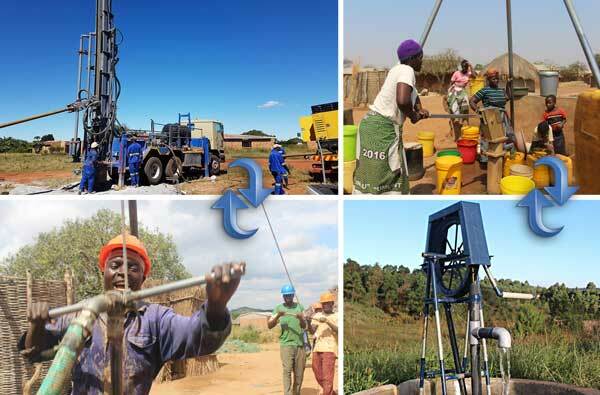 Until now Government and many NGO’s use machine drilled boreholes with India Mark2 community pumps. This approach was designed for 250 users in a radius of 500 m (250 people/0.78 km² = 318 people/km²). 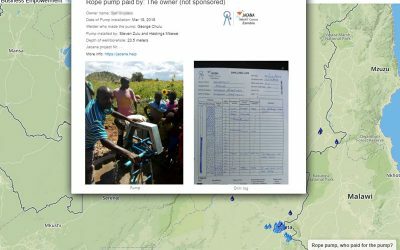 The costs per water user in the community of for example 100 users is 180$ and for communities of 50 users the costs is 380$ per user for this conventional approach. Which donor would be willing to pay that? More important: which small community will be able to maintain these expensive solutions? 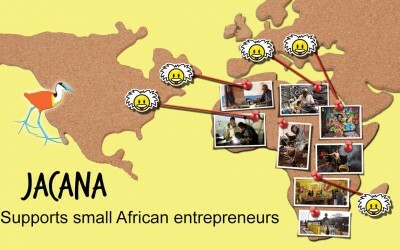 Zambia is not the only sparsely populated country in Africa. 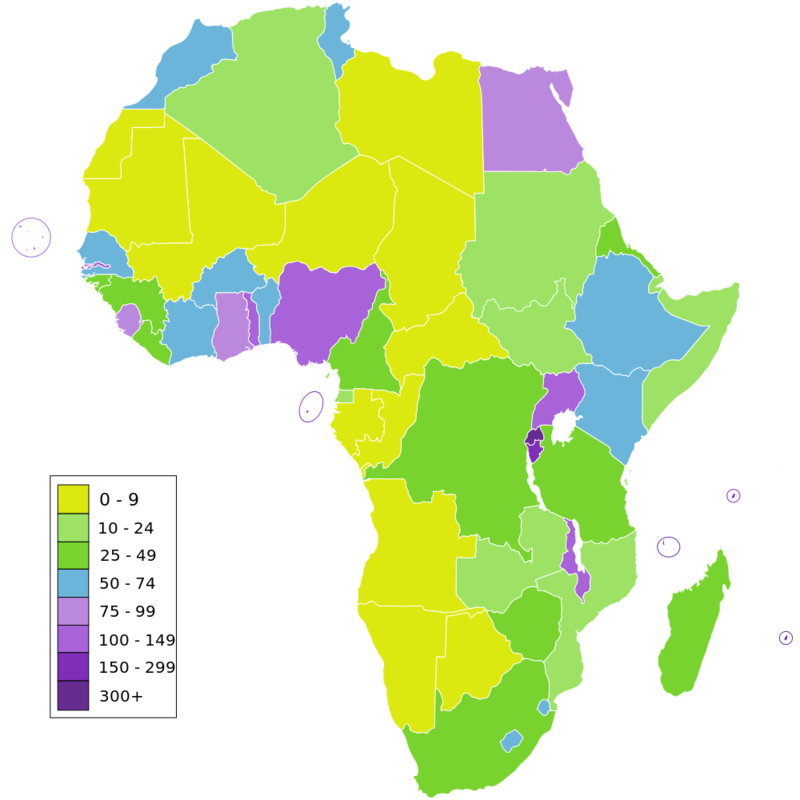 The images show number of people per km². 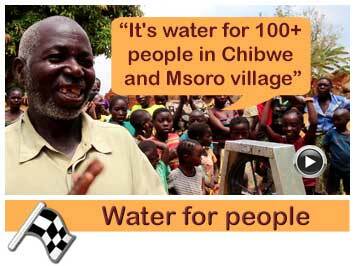 What should we do: leave those people behind without safe water? Or are we looking for other options? 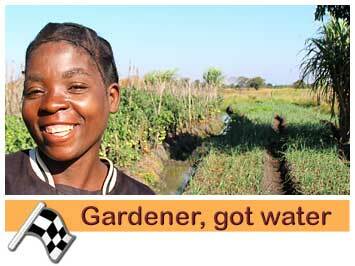 Jacana and WaterAid will research alternative options to reach everybody in Zambia. 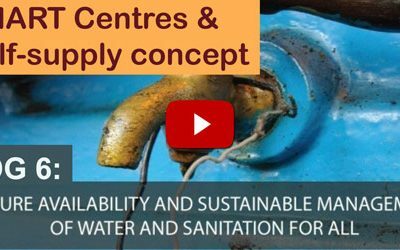 We will be looking at a practical mix of Self-supply, more affordable solutions, different ownership models and combining water with income generation. 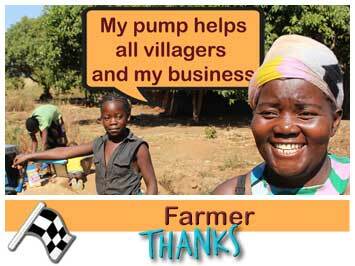 Self-supply means that families buy their own water source without interference from Government or NGO’s. 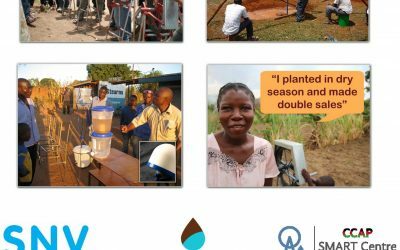 Jacana worked for the last two years in Chipata District and trained manual drillers and local pump manufacturers, this is called SMART water solutions. 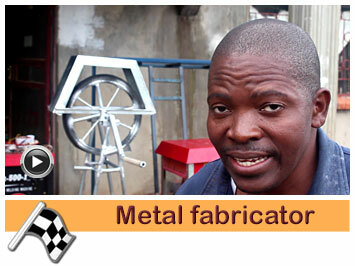 SMART stands for Simple Market based Affordable Repairable Technologies. 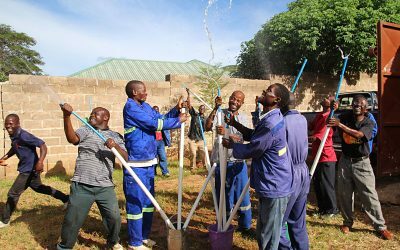 At this moment, 112 families in Zambia have their own affordable borehole with rope pump made by 18 local entrepreneurs. 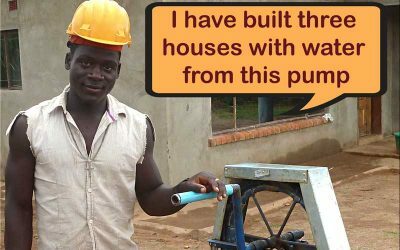 These private owned pumps not only provide water for their households, on average each pump also serves 10 families in the neighbourhood. 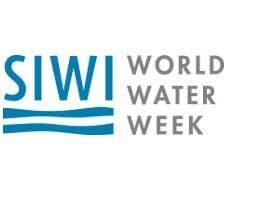 Water is a resource that is shared free of cost. 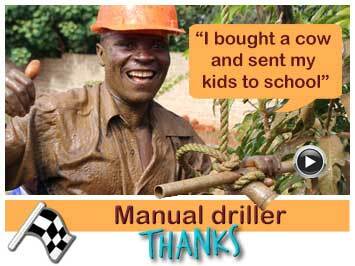 Manual drilling of boreholes is possible in 90% of Zambia. 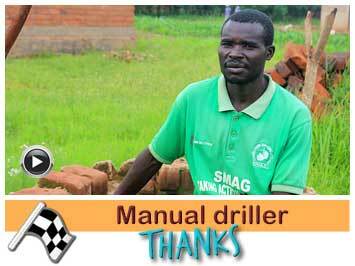 In fact, SMART manual drillers receive requests from all over Zambia and have already been drilling successfully in several corners of the country. 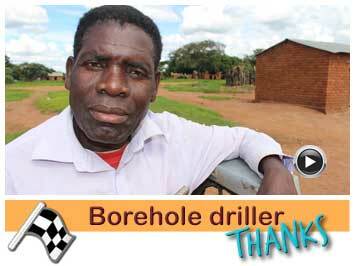 WaterAid and Jacana understand that not every family in Zambia can afford a borehole with a pump. 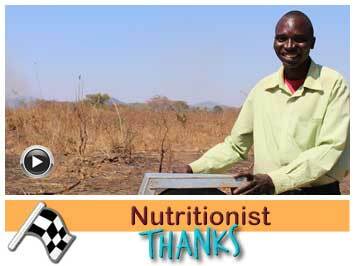 Together we investigate ways to reach families with limited budget. 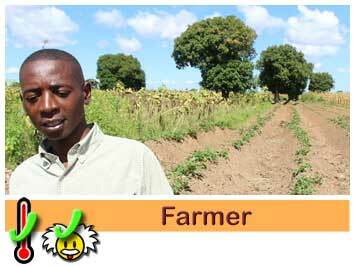 For example, Zambian Government already gives out subsidies for fertilizer to small scale rural farmers. This is the exact same target group. 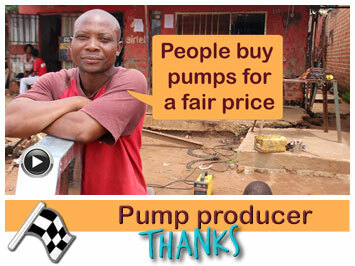 Maybe in future a similar subsidy could be established for affordable water solutions? 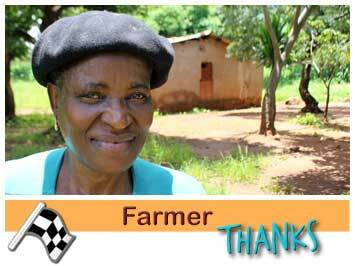 Together with WaterAid, Jacana will look into this and other options. 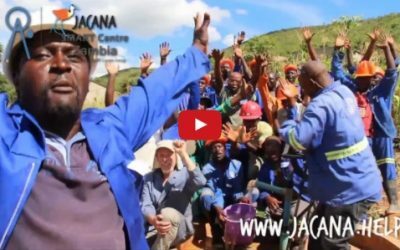 To our great joy we can announce that Jacana has been chosen as the winner of the 2018/2019 Jobena Award.This is a huge recognition and boost for Jacana’s work. Jobena Foundation was founded in 1996 with the aim of supporting cultural projects and development projects and every two years an award is given to a project that has self-development as an effort and goal. 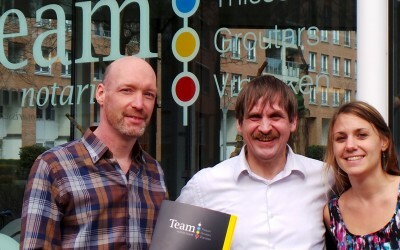 On 3 February Jacana was awarded the Jobena prize 2018/2019 in Amersfoort. 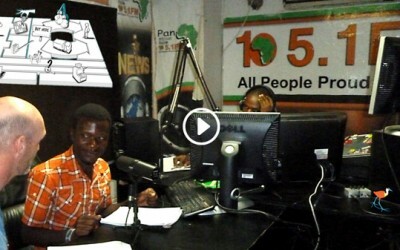 This took place during an event organized by both Jobena and Jacana. 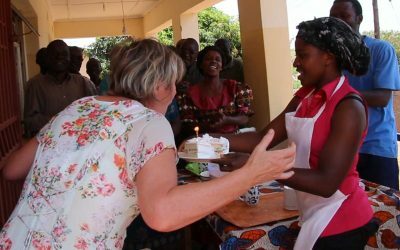 After a welcome speech by the chairperson of Jobena Foundation, Cilia van Tiel, Rik Haanen explained, by showing a video, how Jacana supports small Zambian entrepreneurs. People asked interesting questions after watching the video. 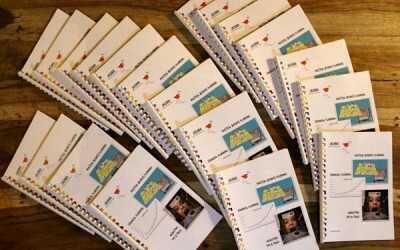 After a drink and a snack, an auction was organized; the proceeds were doubled by Jobena. The public was more than willing to offer on paintings, dinners and other curiosities. 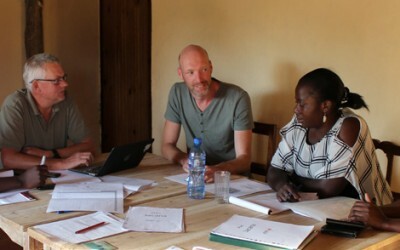 In the end the total amount of 18,297.57 euro’s was handed over to Jacana board members. 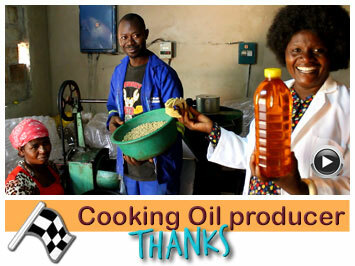 Jobena Foundation, thanks again for the recognition we received as Jacana through this award! 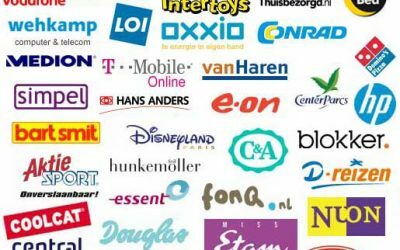 December 3, 2018 : Nog even snel een cadeautje kopen? 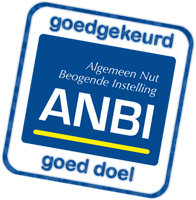 Twee voor de prijs van één! 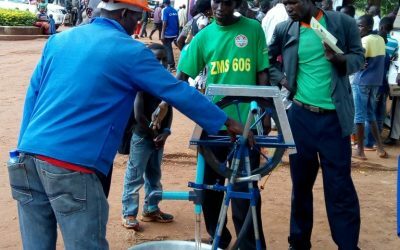 Jacana and trained entrepreneurs from the water sector will demonstrate their knowledge on provincial agriculture and commercial show in Chipata stadium next Friday and Saturday, July 6 and 7. 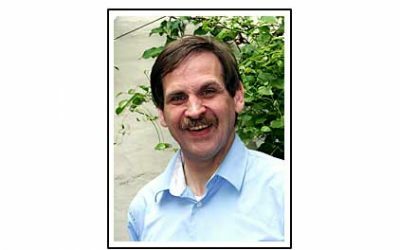 Jacana lost a great man. 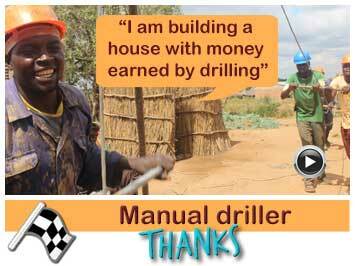 Want to experience manual drilling? 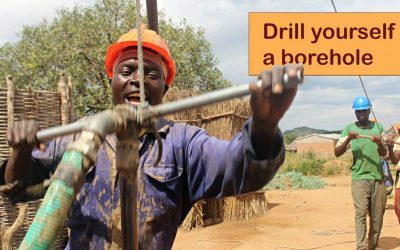 Come and drill yourself a borehole. 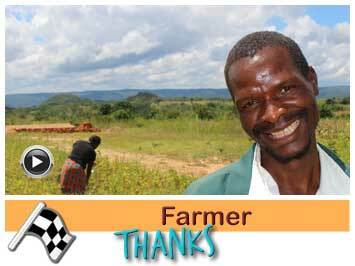 See you 5 or 6 April 8:00 - 12:00 at Msekera Research Centre field days next week in Chipata. 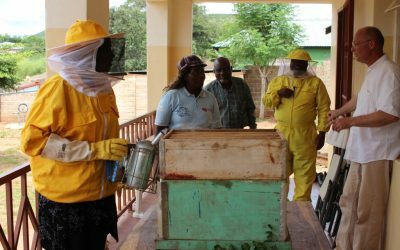 Frank Leenen was in Zambia and helped five beekeepers: Maria, Chrispin, Brandson, Phiri and Bridgit. General reaction : There is some much we still need to learn. 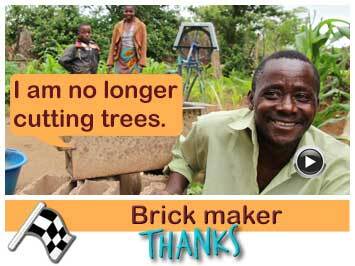 Frank, thanks so much but you have to stay longer! 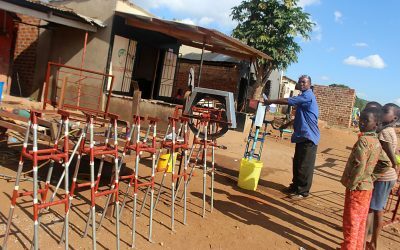 Several communities have worked hard constructing toilets. 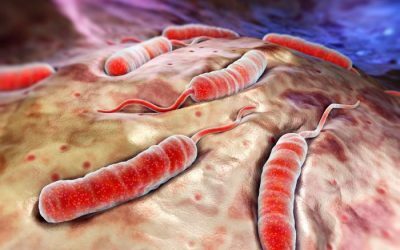 They are officially declared Open Defecation Free. 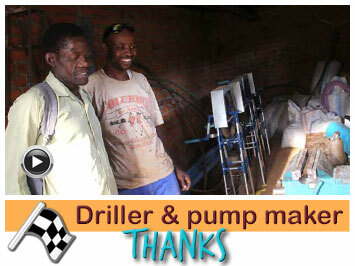 Now clean water is coming their way thanks to a donation from the "Marie-Stella-Maris foundation". 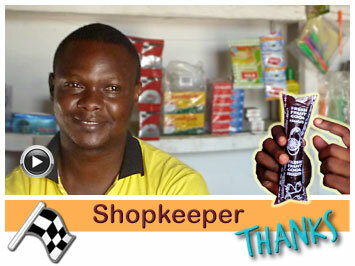 Help a hardworking small scale African entrepreneur #GivingTuesday. 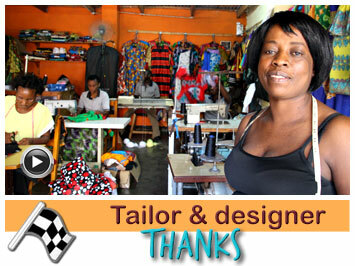 Small scale entrepreneur create jobs and they show that it is possible to escape poverty on own power. Some of them need a little well targeted support. 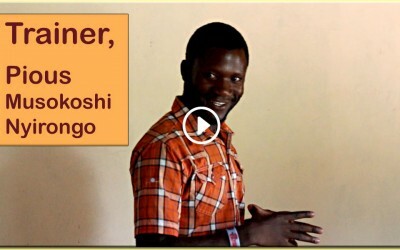 Watch their video at https://jacana.help/entrepreneurs and give to one of them. 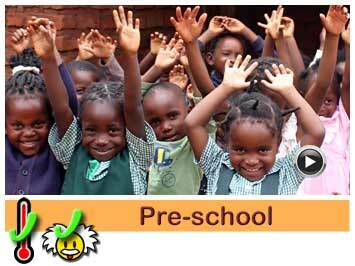 Loving, caring and dedicated teacher Petronella Kuwenda runs a private pre-school. 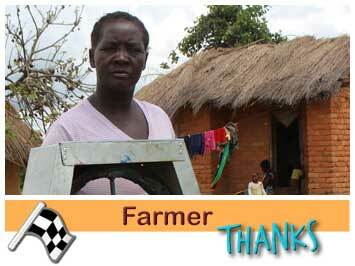 She wants to expand but needs safe water for the children. 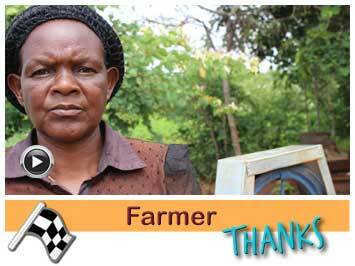 Drillers and pump producers (trained by Jacana) from the same area will help her. 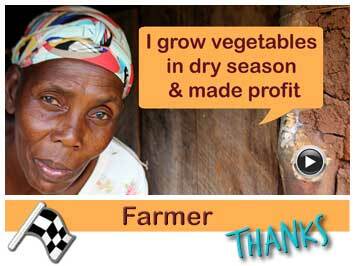 With the affordable pump and hand drilled borehole, Uveren' Gapi Jere now extended her farmland and farms even in dry season. 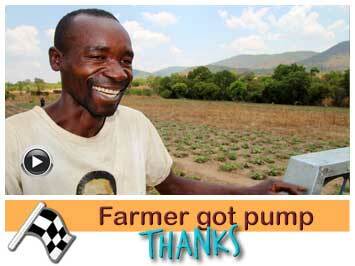 Communities get free water and help with irrigation. 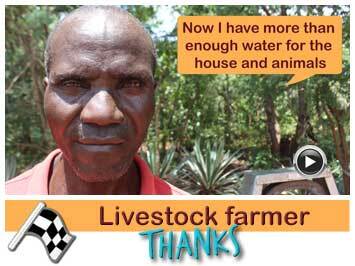 Farmer James Mbewe provides free water to his community. 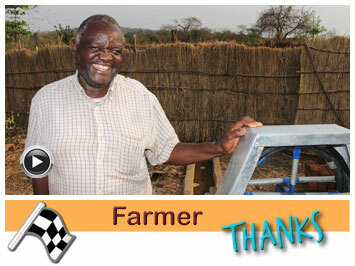 Each bucket they get, helps James irrigate his garden. 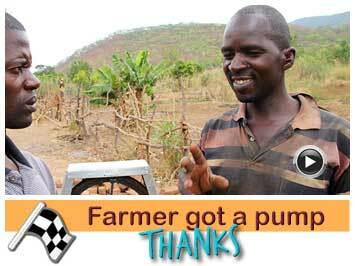 This way 50 families have free water and James can farm the whole year. 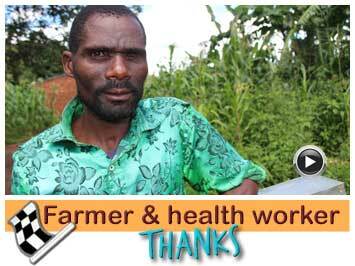 Deaf farmer Joshua will never lose a harvest because of drought again. 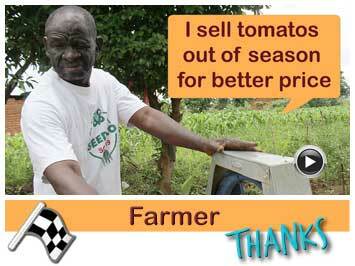 Joshua lost his entire tomatoes harvest because of drought. 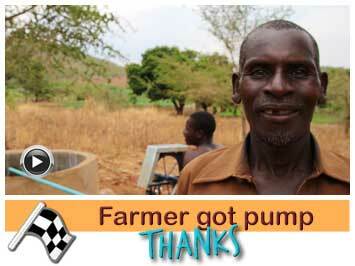 With an affordable and easy to repair pump he will never lose a harvest again this way. Today our director is celebrating her birthday. 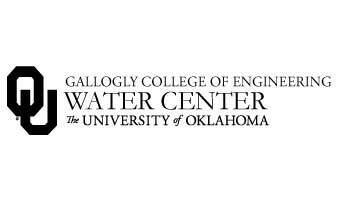 Sally Sutton represents Jacana SMART Centre Zambia at the International waTER Conference on September 18-20, 2017 at the University of Oklahoma. 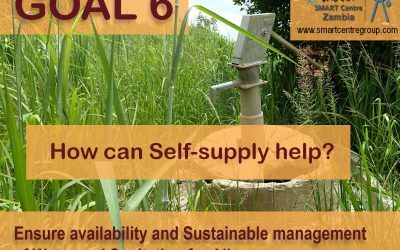 Jacana SMART Centre presents at WEDC: "How can Self-supply help reaching SDG6?" Tuesday 25 July – afternoon 15.30 – 17.00 Loughborough University UK, Session C5: Room WPT003 Let's talk at the exhibition site SMART Centre Group. 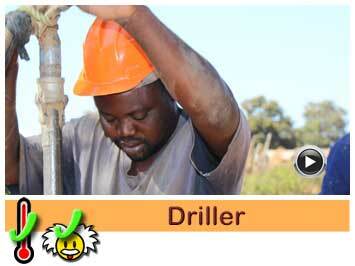 The drillers are manually drilling boreholes at their own workshop and the workshops of the welders, this to gain experience and to make working examples to convince potential clients. 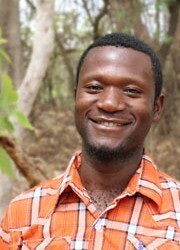 Jacana monitors and guides the proces. Jacana on Dutch national TV Jacana will be on Dutch national Television NPO2 this morning 9 April 11:57 on channel 2 just before the news in a programe of WildeGanzenNL . 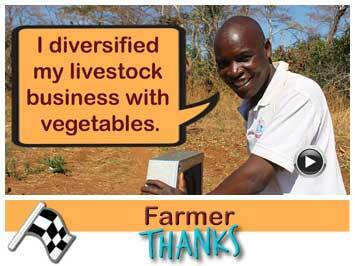 The Rabobank believes in our approach. 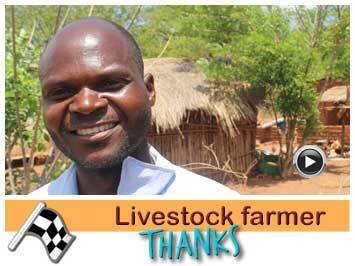 The Rabobank staff fund covers 60% of the guidance costs for 8 small entrepreneurs in Zambia. 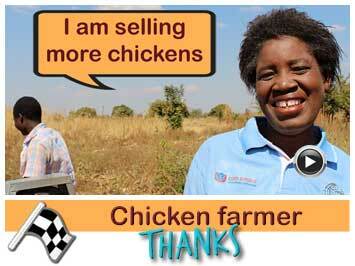 This also means that the remaining 40% needs to be covered by crowd funding. 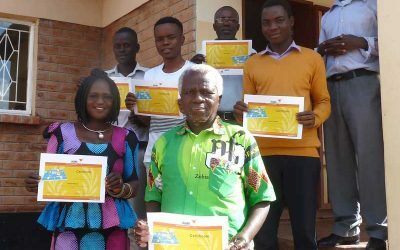 Second training session started Jacana started in November with the second business, financial and marketing training for fifteen enthusiastic small entrepreneurs from Zambia. 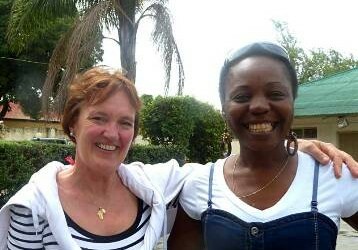 Jacana started guiding the three selected ladies. 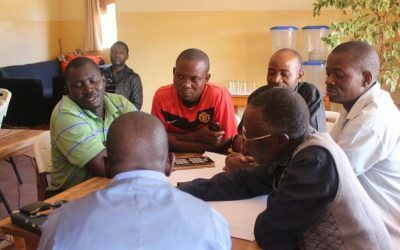 First meeting of Zambian Board The board for the Zambian branch of Jacana has met for the first time on 10th of August. 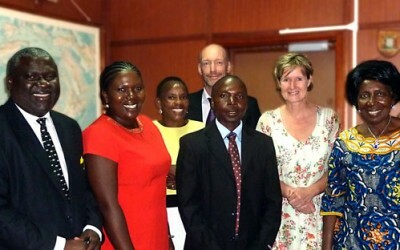 This experienced and motivated team will guide the foundation in to a bright future. 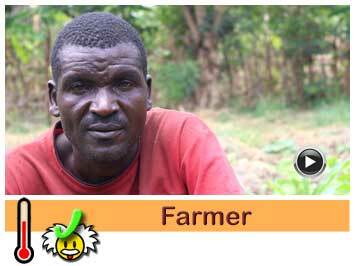 Read all about their backgrounds here. 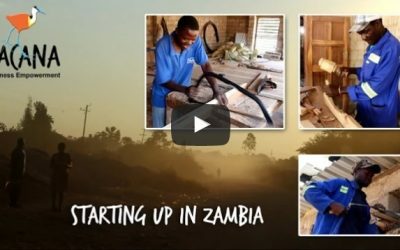 Startup Witness how cost efficient the new Zambian Jacana office is being furnished and watch how the "data centre" is equipped to overcome all kinds of (unfortunately common) power problems. Almost there… activate your subscription! 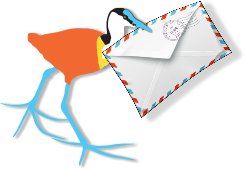 1 Check your inbox or spam folder. 2 Find our email. 3 Click on confirmation link.